In this country, Christmas, a celebration common to all nations with Christian heritage, is a lengthy party that starts (un)officially on the first day of September. I guess we’re the only nation that makes a big fuss with the onset of September, as it, according to the radio jocks nationwide, is the month that Filipinos begin to count the days till Christmas day. And guess what Christmas tune you’d hear on the radio from that day on? 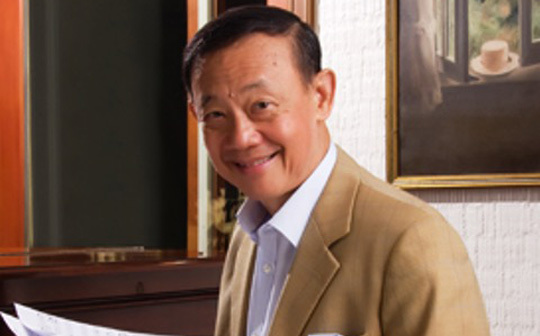 It’s “Christmas In Our Hearts” written and sung by businessman-turned-singing icon Jose Mari Chan. Ironically, this is the song he least anticipated to become a big hit. In fact, when that song was released along with other songs in a Christmas album of the same title on Nov. 17, 1990 by Universal Records. It was the cut “My Perfect Christmas” that was promoted by the record company. But the album sold, and in 2006 it posted over 600,000 units in the Philippines alone, giving it a Double Diamond by the Philippine Association of the Record Industry (PARI). The song has an interesting story behind it. In 1990, two years after he returned to the Philippines after long years of stay in the US along with his family, then Universal Records head Bella Tan phoned him and suggested he came up with a Christmas album. And he did, one of the tunes he submitted was “Christmas In Our Hearts” the lyric of which he culled from a poem by a friend Chari Cruz-Zarate who asked him to help put music to it as she and her classmates wanted to sing it for their silver jubilee as a class. Though Tan, (she passed away several years ago after the album became a big hit) didn’t think it was “too Christian” to be the “carrier single” for the promotion of the album, “A Perfect Christmas” was it. the tune even surpassed the carrier single in popularity later. Louie Ocampo works with Chan as musical director of Going Home To Christmas 8:00 p.m. at The Theatre at Solaire. Spending a couple of hours with the entertainment press before her birthday on Nov. 12, she told the showbiz writers that wee need to rationalize and expand what she called the “outdated, conflicting and inadequate legislation” governing the Philippine entertainment industry today. Gov. Marcos said there is an urgent need to restructure the guidelines, parameters, and philosophy embracing the country’s creative profession into one overarching framework as part of nation-building. The charter she envisions will encompass not only the traditional radio, film and television media but also new platforms, such as games and toys development, social media and digital communications. It will also update and streamline the various agencies operating as regulatory bodies, such as the Film Development Council of the Philippines (FDCP), Movie and Television Review and Classification Board, and Optical Media Board. Marcos also believed that a review of the burdensome tax rates being levied against movie producers is also necessary. “Clearly, the importation and tax structures are serious disincentives to growth and productivity which are important to what should be a burgeoning sector in Philippine economic development,” she said. Filmmaking equipment, game consoles, and other requisites are heavily taxed to be even affordable to professionals and producers, she added. The lady governor also added that the role of local government units has to be recognized in monitoring and enhancing art and entertainment in the countryside. She cited Isabelas Banchetto Film Festival, Ilocos Norte’s Media Incentive Ordinance, and Baguio’s Creative City tag as examples. “The digital world continues to be unlegislated. Clearly, it is a work in progress but it is a job that we need to embark on quickly and effectively. At the end of the day, the Filipino may not be the world’s athlete or be the grossly-disadvantaged scientist, but we can’t be contested as the world’s artist. It is time that we address this unique, God-given talent,” she said. Marcos, who served as Director General of the Experimental Cinema of the Philippines in 1981 to 1986 that paved the way for the production of several critically acclaimed films such as Himala, Oro Plata Mata and Soltero now considered Filipino movie classics. She was also credited as producer of the popular child-oriented TV shows Kaluskos Musmos and Kulit Bulilit in the 70s and 80s. More stories of these kinds at www.isah.red. Follow me on Facebook (@isahvr), Twitter (@isahvred) and Instagram (@isahvred).